One of the gems we uncovered at Fantastic Fest this year was THE DEVIL’S CANDY, starring Ethan Embry and Shiri Appleby. The film takes what you think you know and flips it on its head, giving us something wonderfully twisted and satisfying. The film sees the story of a struggling painter (Embry), his wife (Appleby) and their young daughter (Kiara Glasco) as they move to their dream house in rural Texas. However, they soon find themselves targeted by evil forces and the house’s previous occupants. With its rockin’ heavy metal tunes, exceptional performances from its cast, and nerve-racking exploration, THE DEVIL’S CANDY is a real treat. It features a sharp script written by Sean Byrne (THE LOVED ONES) with visuals that vividly back his words. There is never a dull moment amidst its dark and disturbed nature. Fresh Fiction had the opportunity to speak with Appleby, who plays Astrid in the film, about the darkness of the material, working with the charismatic Embry, and the things that stick with you for a lifetime. 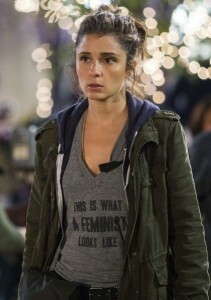 Shiri Appleby as Rachel on UnREAL. Photo courtesy of Lifetime. Like UnREAL, I wonder if diving into material like this has any kind of psychological effects? Does diving into the manipulative mind of Rachel in UnREAL or dark material within THE DEVIL’S CANDY mess with your mind at all, even if temporarily? Do you have the capacity to be scared of your own movie? After doing this movie, does it make you hold your daughter a little closer? I like how what connects Jesse (Embry) and Zooey (Glasco) in the film is heavy metal music. I know your daughter is very young and you have another on the way, but what connects you with her the most at this point? What happens to Zooey in the film is something that I imagine would stick with you for a lifetime. Are there any stories that have stuck with you that you feel have really shaped you into who you are today? 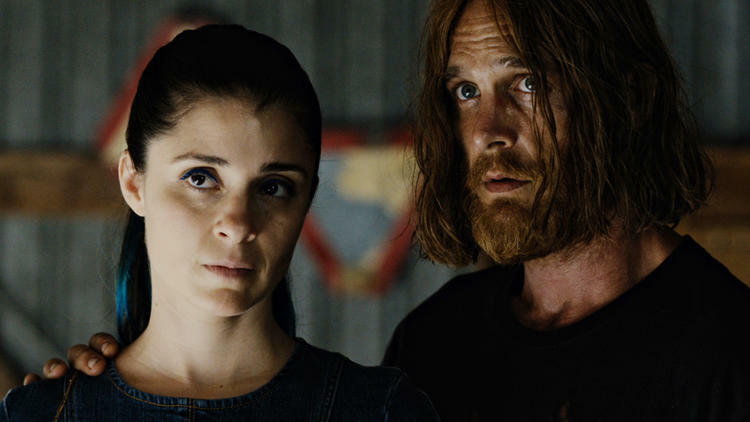 Shirri Appleby and Ethan Embry star in THE DEVIL’S CANDY. Courtesy of IFC Midnight. I had the pleasure of speaking with Ethan before and he’s so full of life. Do you have any great memories of working with him on this film? In horror classics such as THE EXORCIST, POLTERGEIST and THE OMEN — pretty much any horror movie that has some religious aspect to it — there have been many urban legends and myths of on-set incidences. Working in the genre, did you find anything out of the ordinary going on on-set? Horror films were kind of my babysitters growing up; I was always watching movies I shouldn’t have been with a big popcorn in hand. Was it the same for you? Did you grow up liking the genre? THE DEVIL’S CANDY is now available to view On Demand.